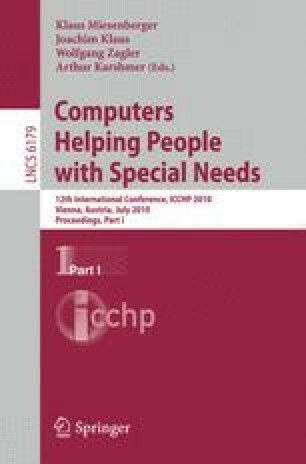 We present a framework to adapt software to the needs of individuals with severe motion disabilities who use mouse substitution interfaces. Typically, users are required to adapt to the interfaces that they wish to use. We propose interfaces that change and adapt to the user and their individual abilities. The Hierarchical Adaptive Interface Layout (HAIL) model is a set of specifications for the design of user interface applications that adapt to the user. In HAIL applications, all of the interactive components take place on configurable toolbars along the edge of the screen. We show two HAIL-based applications: a general purpose web browser and a Twitter client.